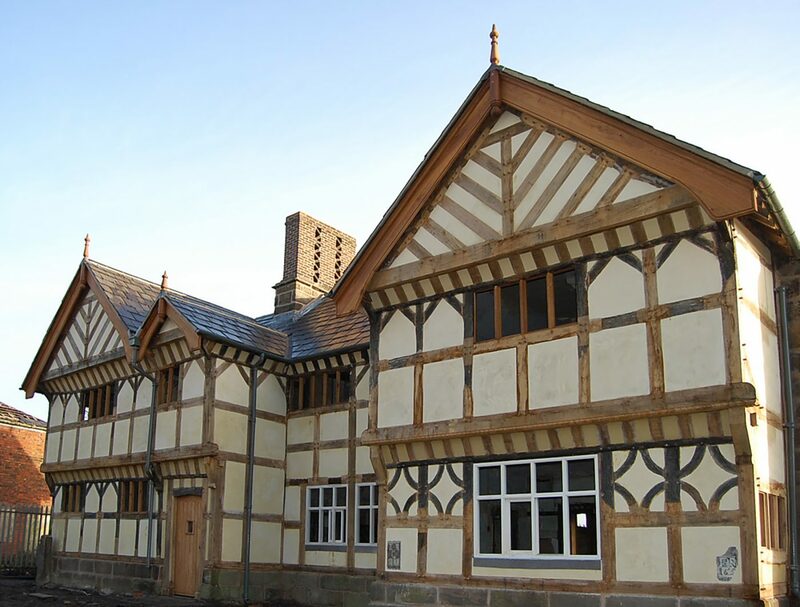 This Grade II* half-timber hall house was constructed in the early 17th century and restored in 1885. 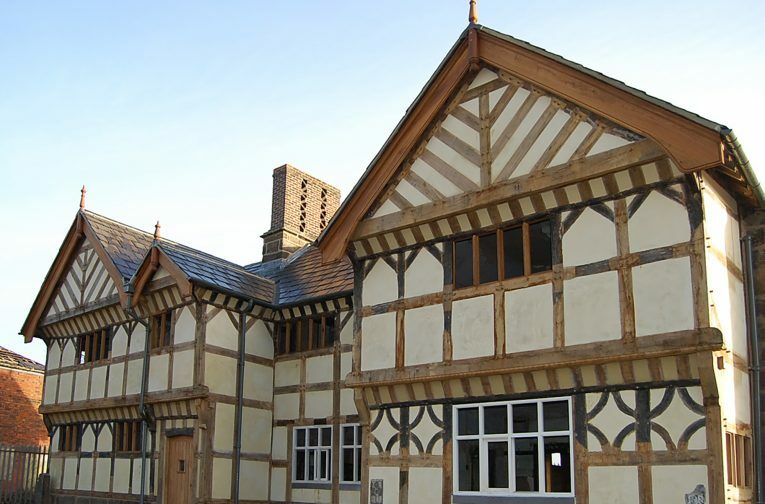 It had been unoccupied since the Second World War and was subsumed within the Royal Ordnance site. The building was recorded in 1954 by the Ministry of Works prior to its planned demolition, but this was never carried out and the building was listed in 1975. 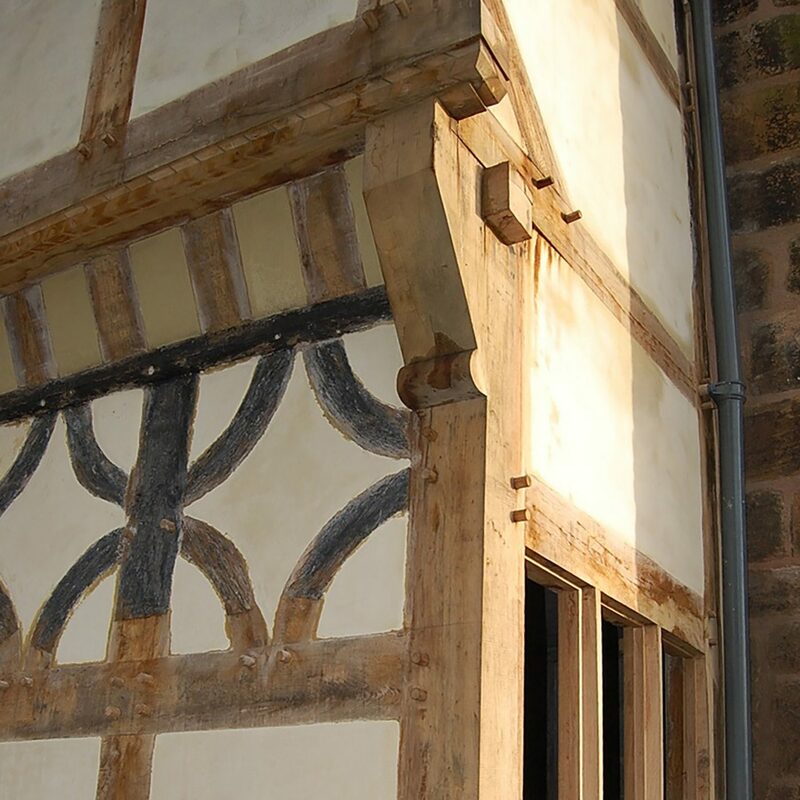 Its condition continued to deteriorate and it was placed on English Heritage’s Buildings at Risk Register. 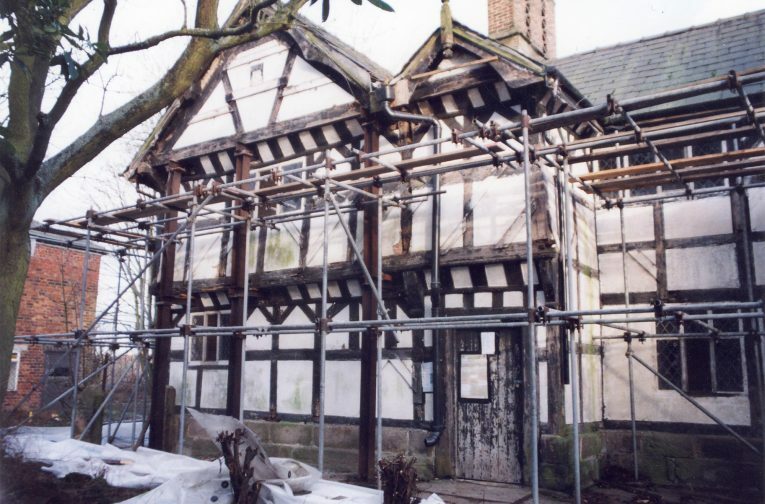 Donald Insall Associates was asked to carry out an extensive programme of restoration, including careful repair of the oak frame using traditional techniques, reconstruction of the collapsed east elevation, and sympathetic installation of services to make the house a 21st century home.